Releases on 30/05/2019. 39 Days left to Preorder! Assume leadership of the White Walkers when you don the Game of Thrones: Night King Mask. 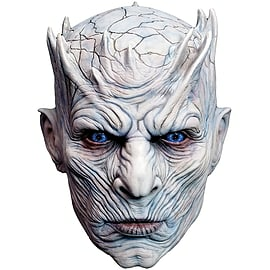 This highly detailed and officially licensed Night King Mask is a must have collectors piece for any Game of Thrones fan - bringing the terrifying nature of the Night King to life. 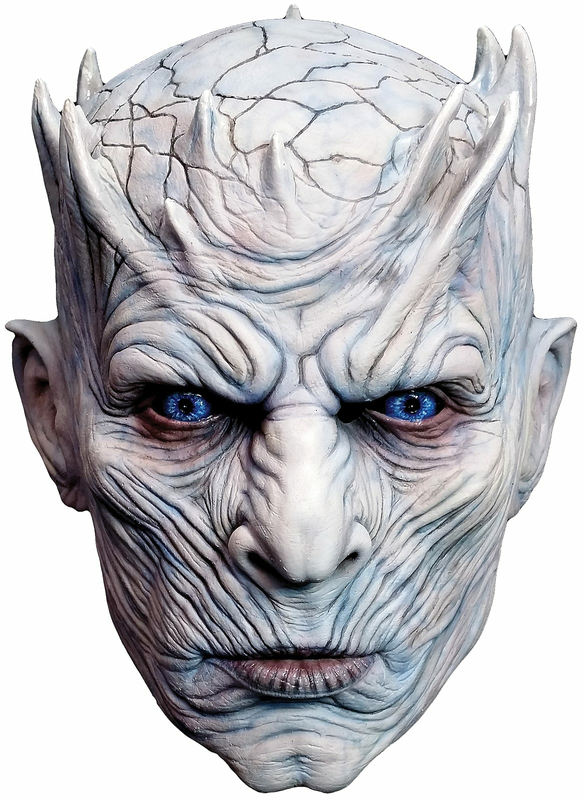 Don't miss out and shop the Game of Thrones: Night King Mask today, at GAME. Cold and terrifying with a piercing gaze, the Night King is master and first of the White Walkers. Little is known of him, but that he appears to have only one goal - to add to his army. This rings true to the nature of the first White Walker - to be the ultimate embodiment of death. With this fantastic collectors quality latex mask you too can become all things deathly and terrifying! Hand painted with a highly detailed finish, you'll be sure to cause the room to freeze when you enter! Designed to fit round the wearers head with a realistic finish, this mask will be great for cosplay, Halloween or as a collectors piece!